The New Favor Arrivals For 2011 Are In! Damask And Chandelier Themes Are Still Hot And Running Strong For The Second Year In A Row. With Their Classic Elegance, It's Not A Suprise! 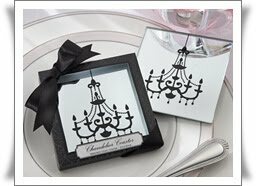 We're Seeing the Damask and Chandelier Themes On Everything From Personalized Notebooks, to Mirrored Coasters, Candle Holders And Even Personalized Lollipops! 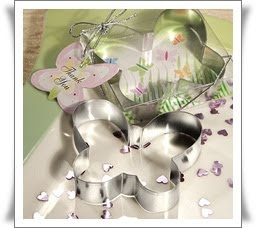 Cookie Cutters and Cookie Cutter Sets Have Become Popular For Every Celebration From Baptisms to Weddings! Surely A Practical Favor Guests Will Be Sure To Use Long After Your Special Day. 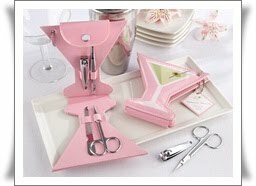 Cocktails, Especially The Classic Martini Are A New Popular Theme For Ultra Chic Bridal Showers From Manicure Sets to Drink Mixes. 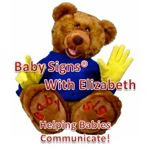 Come View All That's New at www.firstimpressionfavors.com!